The SAT is changing again. With the ACT threatening to make its test irrelevant, College Board revamped the SAT for 2016. Should students bother taking the new test? They shouldn't, according to Forbes. Students should opt to take the ACT instead of the SAT for three major reasons. First, test prep is going to be a concern because of underdeveloped materials for the new SAT. It will take tutors a few rounds of the test to determine the best way to effectively help students, whereas the ACT has been largely unchanged for decades and is very familiar to tutors. Second, College Board says that they will delay releasing results of the earliest tests until more data is collected. Scores will be late in getting to students, and thus late in getting to admissions offices. Third, the new SAT is more like the ACT than ever before. 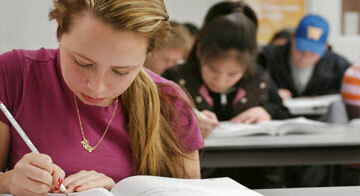 Are you going to forgo the new SAT for the familiar ACT? We would love to hear your thoughts in the comments below.